For many people, their house may be their biggest asset. But it also can be their biggest expense. That’s true whether they’re planning for retirement or even if they already are in retirement. So it’s no wonder that many homeowners begin to think about selling their home and moving into a smaller one as they approach their golden years. Downsizing your home doesn’t have to mean downsizing your lifestyle. Homes have steadily expanded over the years with the average home now more than 2,600 square feet in the U.S. according to Census data – 60% larger than it was 40 years ago when families were bigger! So there is plenty of room to downsize without cramping your style. But downsizing doesn’t necessarily mean moving to a smaller home. It can also mean moving to a less expensive residence that’s the same size. Something as simple as moving from a top, reputable school district to a district that is not highly rated may lower the cost of a house. And if you do not have school age children, the quality of the school district may not be that important to you. The housing market in our area has rebounded quite nicely from the recession with the value of many homes climbing in recent years. Cashing in on some of that equity appreciation may help provide retirement income and extend the life of your nest egg. For more information on the propriety of such a move, please first consult with your financial advisor. A smaller home may mean a smaller mortgage payment each month if you are still paying off an existing loan. Or it might mean paying off your mortgage entirely and being debt free on your new home. Additionally, downsizing may lower your property taxes, energy costs, property insurance and ongoing maintenance and repair expenses depending upon the choices you make. According to the Center for Retirement Research at Boston College (CRR), housing costs (including utilities, taxes and upkeep), represent one of the biggest expenses for a retired couple – 30 percent of expenses for a couple aged 65-74. That’s money that can be spent on other things in retirement. For example, CRR estimates that a couple downsizing from a $375,000 home to a $250,000 home may be able to cut their annual expenses and increase their annual income from savings by a combined $7,260. CRR provides a calculator that may enable you to determine your own savings here. As always, it’s a good idea to consult with your financial advisor before making any decisions. Some homeowners are reluctant to trade a house for a condominium or town house because of concerns regarding the financial impact of homeowners’ association fees. While such fees can change one’s monthly budget, keep in mind that you may be paying similar expenses as a homeowner in the form of maintenance and upkeep costs. While a smaller home may mean less space, it could also mean less time and aggravation spent on keeping up a big house. Without all the work that goes into keeping up a bigger home, you may actually find a lot more time to enjoy traveling, hanging out with friends, picking up new hobbies and, generally, having more fun! Moving from a suburban home to an apartment or condo building in a downtown area with amenities on site may open up a whole new world for retirees. Those who have made the switch often find that they now can enjoy more trips to the theater, nightclubs, restaurants, shopping, as well as taking advantage of fitness centers and other on-sight activities. According to the Wall Street Journal, it can pay to downsize sooner rather than later for those approaching retirement or already retired. The financial benefits can add up over time. Additionally, as we get older, moving gets harder thus it may make a lot of sense to move now rather than waiting. If I can help answer any of your questions about downsizing, please give me a call or e-mail me today. I’d be happy to discuss the pros and cons of making a move and help you decide if downsizing is right for you. Should You Rent or Buy? Things to Consider when Making Your Decision? “To buy or to rent?” That seems to be the question lots of people are wrestling with these days with interest rates still near historic lows and the housing market continuing to gain strength in most communities. Recent graduates, thirty-somethings, relocating professionals and even current homeowners have probably considered both scenarios recently. While each option has its pluses and minuses, the decision to purchase a home as opposed to renting is a complex one and really depends a lot on your individual circumstances. According to a recent survey conducted for the National Association of REALTORS®, nearly eight out of 10 respondents believe buying a home today is a good financial decision. But the question that remains is whether or not now is the right time for you to buy. if you qualify for a loan. Can you cover the other expenses? When you own a single family home, you – not your landlord –will be responsible for all of the maintenance and repairs, everything from a leaky faucet to replacing a roof. Will you have enough money left over in your budget each month (after paying the mortgage, property taxes and insurance) to cover any repair issues that may pop up? How long do you plan to stay in your home? Although homes often appreciate over time in most areas and many owners build equity through monthly mortgage payments that go towards the principal of the loan, values can go up or down during any period of time. Generally, the longer you plan on staying in your home, the more likely that buying may be the right move for you. How much will your rent increase in the future? Obviously no one knows for sure what the future will bring, but a recent study by Trulia found that rents on average are increasing faster than home prices. In fact, homeownership remains 38% cheaper than renting nationally, and it’s less expensive in all of the 100 largest metro areas studied by Trulia. But each neighborhood and each home are different, so it’s important to do your homework. How do your other options compare? For renters, calculating month-to-month housing expenses is as easy as inquiring about the monthly rent and average utilities. The calculation gets a bit more complicated when considering the monthly cost and benefits of owning a home. Buy-versus-rent calculators, which are available on websites such as ColdwellBanker.com, offer a good start in comparing the two options. There is a lot to consider when weighing the pros and cons of buying a home, and you’ll likely have a lot of questions. The best thing that you can do before making a decision is to do your homework and become better educated on your options. I’m here to help answer your questions and find the right course for you. Give me a call at (408) 410-2060 or send me an email at nicole.emanuel@cbnorcal.com and we can get started today! Just Listed! Best Value in Cambrian at $625k. Open this weekend! Look no further….you’ve found the best value in Cambrian! Wonderfully updated house with award winning schools! This beautiful home features remodeled kitchen, updated bath, crown moulding throughout, double-pane windows, tile floors, office area with possible addition for bathroom or bedroom and a 600-square foot garage. Relaxing backyard with newer fence and pergola. Before you buy a home and make what’s likely to be one of the biggest investments of your life, you owe it to yourself to receive quality information on your new neighborhood. Getting a deal on your dream home can quickly turn sour if the neighborhood doesn’t meet your expectations. Here’s how to research a neighborhood before you buy a home. In addition to the U.S. Census Bureau’s city profiles that list crime statistics, you can try sites like CrimeReports. com, which offers local maps where you can access crime data in near-real time (the site has partnerships with more than 1,000 law enforcement agencies). You might also visit the local police department to ask about crime statistics and what neighborhood watches or alerts are in operation. Even if you don’t have children, you should spend some time investigating the area schools (school districts are typically the largest beneficiaries of your property taxes). The reason for this is simple: good schools tend to attract a higher demand for homes, which can affect the value of surrounding properties. One way to research schools in your new neighborhood is to visit the GreatSchools website, a non-profit national organization, where you can find valuable information from local preschools to colleges. It can be easy to focus on the condition of your prospective home, but you should also consider the general condition of the streets, sidewalks and parks in your new neighborhood. Take some time to research your new municipality (start with the official website) and the services offered. Don’t be afraid to call your local clerk’s office and ask questions if you can’t find answers on the website. Things like trash collection, street cleaning and general public maintenance can affect your property’s value over time, especially if these services suffer a sharp decline due to budget cuts. Visit the neighborhood at various times of day and on different days. The nature of a neighborhood changes from day to night and from weekday to weekend. Make sure the activity and noise levels are to your liking. If you see residents out doing yard work or walking their dog, ask how they like the neighborhood and tell them you’re considering buying in the area. Sometimes “insider” feedback can give you the real sense of a neighborhood. When you’re in the market for a new home, it can be easy to get distracted by what lies within the walls. By following these home buying tips, you’ll be much better prepared to make an informed decision about your new neighborhood. That way, a sweet deal is less likely to turn sour. Please call me if you’d like help in further exploring a new neighborhood. Want to search for your next home without ever getting out of your pajamas? There’s a site for that. How much will the mortgage and taxes cost you each month? There’s a site for that. 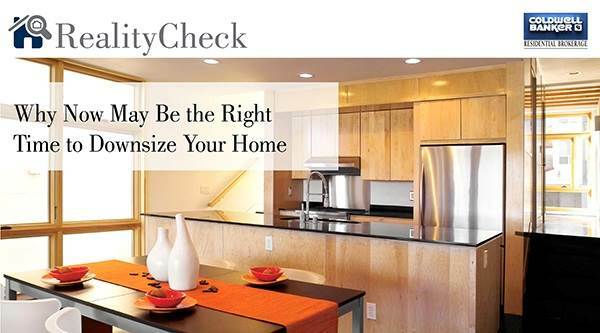 Or do you want to know approximately what your home is worth today? Yes, there’s a site for that, too. And once you move into that new home, there’s a site to help you find local schools, restaurants, even your next dentist. Okay, with apologies to the iPhone app commercials, I thought it might be helpful to list 10 of my favorite websites for people interested in buying or selling a home, remodeling their existing residence, or just looking for local information on their new neighborhood. There are countless websites, of course, and I don’t claim to have the ultimate list – just ones that have good value for homeowners and those looking to become owners. buying and selling, relocation information, and even community facts, figures and links. • Realtor.com. In that same vein, Realtor.com is also a good consumer website, especially for those thinking about relocating to other regions or want advice on buying or selling, as well as hiring an agent. 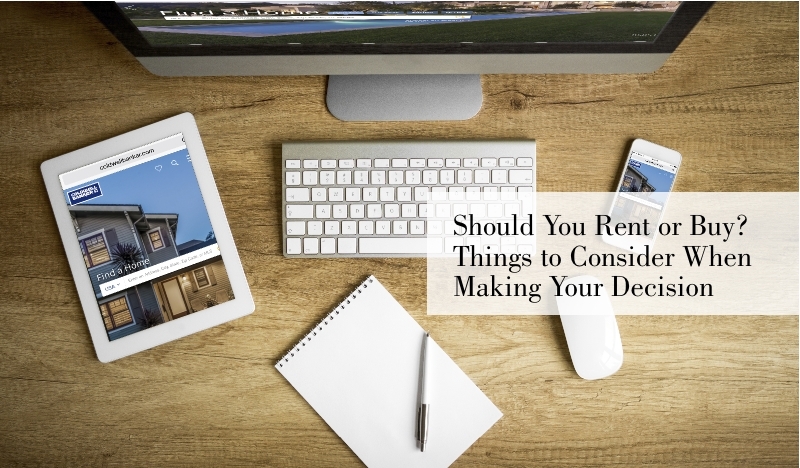 There are articles on the market, consumer tips, and even suggestions on gardening and remodeling. • CaliforniaHome.me. This new blog, powered by Coldwell Banker Residential Brokerage, is a non-stop feast of all things California. From luxury home features and design ideas, to California events and celebrations, the blog if filled with everything that makes the Golden State such an incredible place to live. • Zillow.com. Who isn’t interested in what their home might be worth, or even better, their neighbors? This website offers property valuations. While I’m not convinced that their estimates are always on target, they do give homeowners some general idea of its value, as well as tax records and other useful info. • Bankrate.com. Now that you’ve decided where you’re going to buy, this site will help you figure out how much you can afford. This is one of my favorite financial websites because it offers mortgage rate comparisons, links to lenders, and literally dozens of different types of calculators to figure it all out. • Local.Yahoo.com. So you’re ready to move into your new home. Now what? Go to this site to find a plethora of useful links and information on everything from local restaurants and coffee shops to city offices and police departments to public utilities to get the water and gas turned on. • Yelp.com. Another great site for newcomers to an area is Yelp, which features customer reviews and ratings on every imaginable local business. Sure there’s the usual restaurant ratings, but you’ll come here to find favorite dentists, veterinarians, gardeners and yes, even real estate agents. • ServiceMagic.com. For those homeowners planning to remodel or just looking for a contractor to do some routine work, this website can be quite useful. Service Magic prescreens a wide variety of contractors and also incorporates customer ratings in order to provide a list of recommended businesses. • HomeTips.com. Run by Don Vandervort, a host on HGTV and well-known author of do-it-yourself books, this site – as you might guess – specializes in articles on how to maintain and remodel your home. One of the favorite search engines helps the weekend warrior figure out how to do a wide variety of repairs and save money. • SFGate.com, MercuryNews.com and SacBee.com. I’d be remiss if I didn’t include our local newspaper websites. Not only do they offer the latest news, sports and business, but also good restaurant and movie reviews, job search engines, and valuable community information and links for all homeowners. 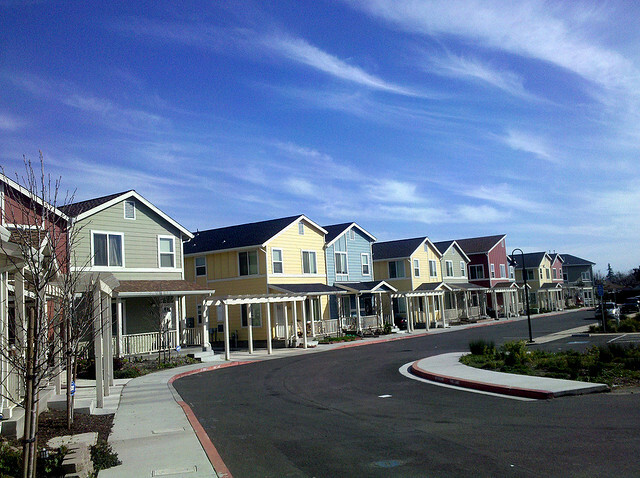 Did you know that there are less than 550 single family homes on the market in Santa Clara County at the moment? That’s less than 1/5 the normalized market inventory of homes for sale in the County and is a historical low. 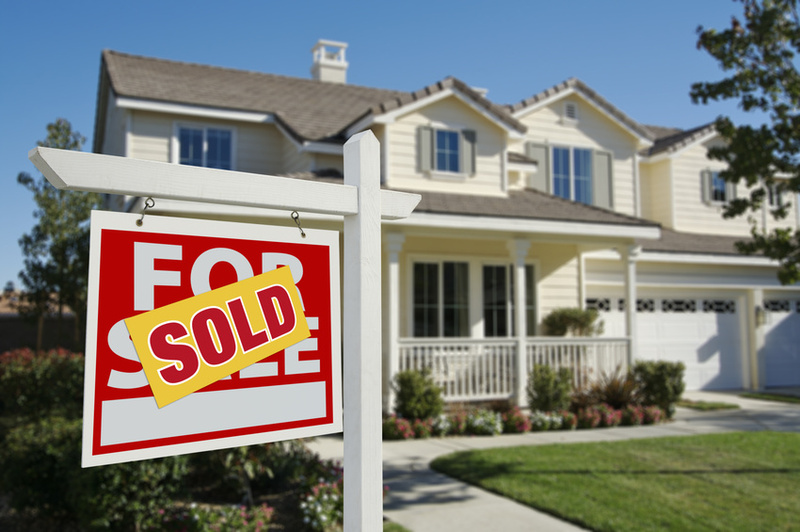 If you are considering selling, there is no time to waste! Give me a call today to discuss how to get top dollar for your home. Don’t let this amazing market pass you by! Whether you’re tackling a Thanksgiving turkey for the first or hundredth time, these top 10 tips will ensure your big bird is the best it can be this holiday! 1. Thawing a frozen turkey requires patience and the safest method is to thaw it in the refrigerator. Be sure to plan ahead — it takes approximately three days for a 20 pound turkey to fully defrost. 2. 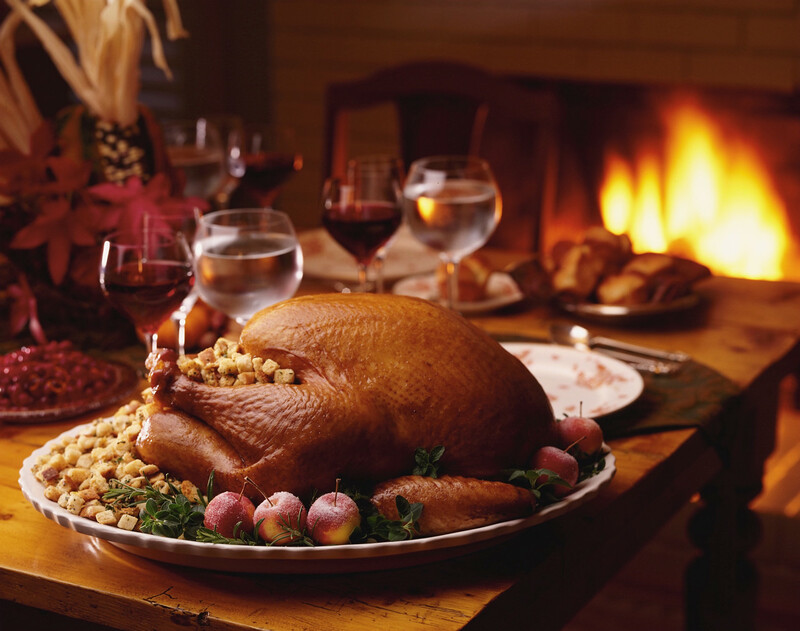 For crisper skin, unwrap the turkey the day before roasting and leave it uncovered in the refrigerator overnight. 3. Cooking times will differ depending on whether your bird was purchased fresh or frozen. Plan on 20 minutes per pound in a 350 degree oven for a defrosted turkey, and 10 to 15 minutes per pound for a fresh turkey. 4. A turkey will cook more evenly if it is not densely stuffed. Consider adding flavor by loosely filling the cavity with aromatic vegetables (carrots, celery, onion or garlic work nicely) or by carefully tucking fresh herbs underneath the breast skin. For the stuffing lovers, cook the dressing in a casserole dish on the side. 5. For even roasting, truss your turkey. 6. Before roasting, coat the outside of the turkey with vegetable or olive oil, season with salt and pepper and tightly cover the breast with aluminum foil to prevent over-browning (it will be removed in step 7). 7. Don’t be a peeping tom (no pun intended)! Once you get the turkey in the oven, resist the temptation to open the oven door and admire your handiwork. When the oven temperature fluctuates, you’re only increasing the likelihood of a dry bird. About 45 minutes before you think the turkey is done, remove the foil from the breast to allow it to brown. 8. Remove the turkey from the oven when the deepest spot between the leg and the breast reads 180 degrees on an instant-read thermometer. Check the internal temperature of the stuffing as well – it should be at least 165 degrees. 9. Tent the bird with foil and let rest for about 15 minutes before carving. If you need more time to make gravy, heat up side dishes, etc. You can let the turkey set for up to an hour without losing too much heat. 10. Remember to carve your turkey with a very sharp or electric knife.